Deloitte tax partner visits Griffith. 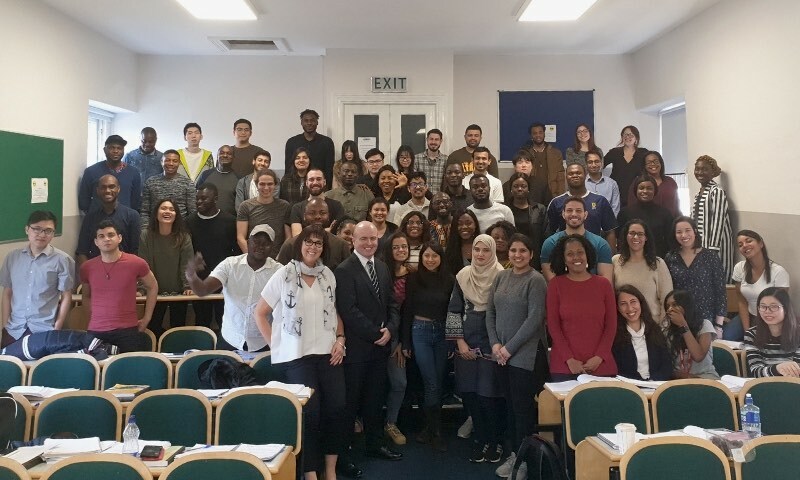 Griffith College’s MSc in Accounting and Finance students were lucky enough to take in a special guest lecture this week when Tom Maguire stopped by their class. Tom, a Tax partner at Deloitte, columnist and author, is highly regarded within the tax profession as a deep technical specialist. He kindly agreed to speak to the students about ‘how he got to where he got to.’ Tom’s delivery, whilst highly entertaining, also communicated a vital message: “Never give up.” Students were both deeply moved and highly motivated by the presentation.